No one understands digital patient advertising like MD Connect. We manage millions of dollars of digital PPC spend for some of the nation’s leading healthcare enterprises and have driven over 500,000 patient referrals in the process. Our processes are uniquely focused on measuring real results (appointments, procedures, revenue) and minimizing cost per lead. Check out some of our case studies showing improved performance versus other agencies! The key to lowering cost-per-lead (CPL) is in superior media performance tracking; we can provide end-to-end tracking solutions that allow us to identify which media (and even keyword) drove specific leads, appointments or procedures. To do this, we utilize a number of tracking techniques including dynamic phone tracking, phone auditing & lead scoring (to identify actual appointments), and our proprietary Performance Portal™ Lead Tracking System. Patients by-and-large want to find a local resource (physician, clinic) when seeking treatment. Although you may be a large, national or regional organization, chances are the patients care more about finding your closest location, identifying the local physician(s), and understanding the local facility and treatment options. 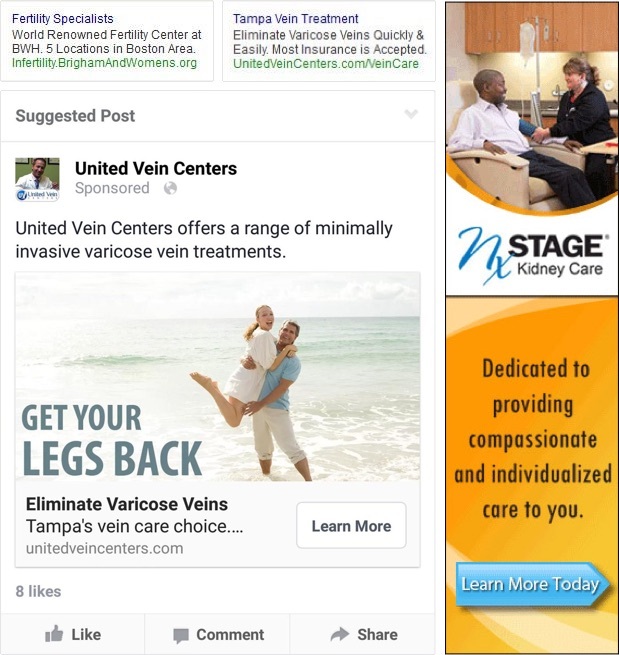 Digital advertising works best when the campaigns (from ads to website content) are localized. We build completely separate, geo-specific campaigns that go well beyond simple geo-targeting and maximize CTR and website conversion rates through customized content and messaging. It’s a proven approach, that (although much harder to implement) pays dividends with superior results.